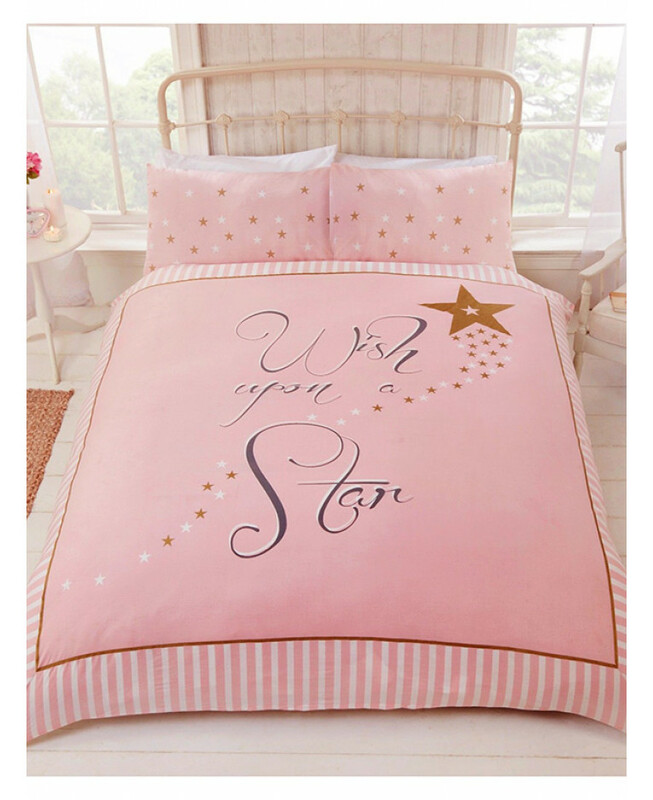 This Wish Upon a Star double duvet cover set offers a stylish finishing touch to any bedroom. 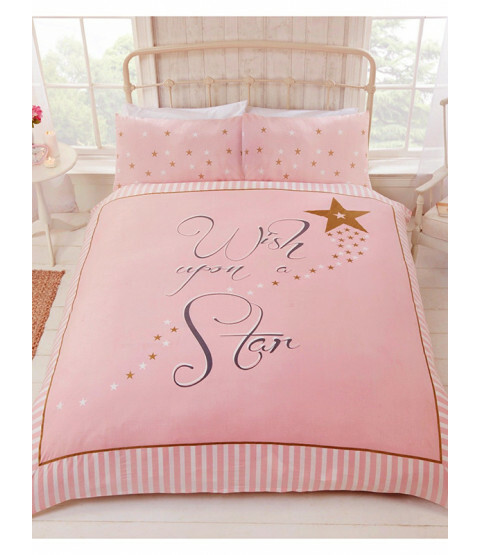 The design has the words Wish Upon a Star in the centre of a pretty pink background, with a large metallic effect gold star and a smaller gold and white star trail across it and a pink and white candy stripe pattern around the edges. Made from a polycotton blend, this bedding set is suitable for machine washing and tumble drying on a low setting.